Fraud. Lies. Deceit? Everybody needs a hobby. 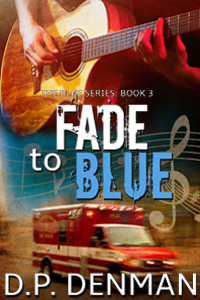 From award-winning author, DP Denman comes the continuing story of Brady and Blue! Brady is a self-made man with his life under control. He has the money. He has the man. He has it all until an international scandal pits brother against brother, and he realizes how quickly he could lose it. Blue learns a different lesson about loyalty when a careless moment divides his circle of friends, threatening to tear it apart. Putting things back together forces both of them to test the bonds of friendship and family. For one, things will never be the same. Award-winning author DP Denman writes addictive character-driven romance from a soggy neighborhood in the Pacific Northwest. Her stories are real and intense, guaranteed to pull you in and hold you hostage to the last word. Always good to see you. :)Your post got shared on Pinterest, Google+, Facebook and Twitter.